18” Whirl-Away patio cleaner, designed for cleaning patios or any type of flat surface. The Whirl-Away patio cleaner has 2 jets that rotate under the polypropylene cover. 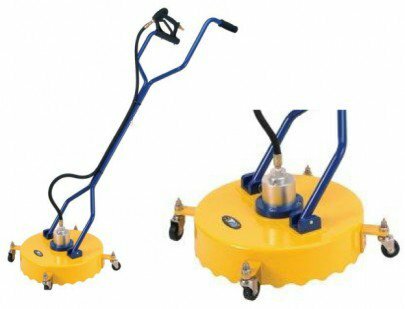 The patio cleaner has 4 x castor wheels for manoeuvrability. It has a max pressure of 276 bar & a max flow rating of 30 LPM.